Now we set sails towards the Gaza Strip! 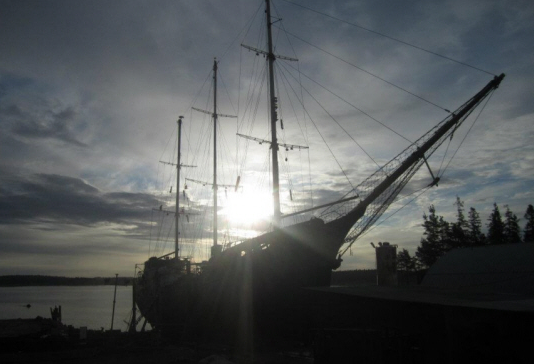 For nearly a month more than 100 residents of the town of Umeå in northern Sweden have been working on the 90 year old schooner Estelle in top condition before the long journey towards the Gaza Strip. This Tuesday we weigh anchor and head for our first milestone: the island Gotland in the Baltic sea and the Almedalen week there. The commitment for Ship To Gaza in the town of Umeå and the region of Västerbotten can only be described as overwhelming. People of all ages have helped us prepare the boat. We have grinded off corrosion, painted and renovated. Even seemingly impossible problems have been solved. When the worn out mizzen boom was to be replaced we were contacted by a man offering to take down a pine tree which was then planed, stained and painted with tar before finally being mounted by yet more volunteers. In parallel with the practical work there has been children’s theater performed on the ship, lectures held at the university, a fundraising party hosted at Scharinska, along with other cultural events in Umeå in support of Ship To Gaza. Umeå has also been visited by Hanan Abu Nasser, from the Gaza Strip, who told about the situation there and the importance of initiatives like Ship To Gaza. The departure is scheduled for twelve o’clock noon on Tuesday. We will be able to specify the departure time further during Monday. Be there well ahead of time for a tour of the ship. Please contact us as soon as possible if there is interest in journalists joining Estelle onboard for a shorter part, or all the way of the journey to Nynäshamn or Visby. Umeå welcomes Ship to Gaza: Now is the time for lifting the siege on the people of Gaza! vessel M/S Estelle arrives in Holmsund, the harbour of Umeå in the north of Sweden. some easing of the inhumane, illegal and for all parties destructive siege. means of making a living. naval forces forcefully intercepted three boats. När Ship to Gazas segelskuta M/S Estelle anlöper Holmsund väntar ett digert program, organiserat av den fantastiska lokalföreningen i Umeå. Ship to Gaza stöds av respekterade medborgare i staden som journalisten Sverker Olofsson, förre landshövdingen Georg Andersson, V-ledaren Jonas Sjöstedt, prästen Lisa Tegby, musikern Dennis Lyxzén, chefredaktören Lena Sandlin med flera. Annika Norlin (Säkert, Hello Saferide) uppträder på en solidaritetsgala. Torsdagen den 31 maj är det exakt två år sedan som israeliska kommandosoldater långt ute på internationellt vatten överföll den första fredliga och obeväpnade Frihetsflottan. Nio människor dödades, en ligger alltjämt i koma, ett 50-tal skadades. Överfallet väckte internationell avsky och ledde till en diplomatisk kris mellan Israel och Turkiet. De rättsliga konsekvenserna av piratdådet har vi ännu bara sett början på. Kritikstormen resulterade i vissa lättnader av den omänskliga, olagliga och för alla inblandade fördärvliga blockaden. På årsdagen går våra tankar till de dödade och deras anhöriga. Vi glömmer dem aldrig och hyllar deras minne med en tyst minut: Çetin Topçuoglu, Ibrahim Bilgen, Ali Haydar Bengi, Cevdet Kiliçlar, Fahri Yaldiz, Necdet Yildrum, Cengiz Songür, Cengiz Akyüz, Furkan Doan. Våra tankar går också till Gazas instängda och belägrade befolkning. Om några dagar går blockaden in på sitt sjätte år. Fler än en kvarts miljon barn har fötts i denna absurda fångenskap som minst av allt uppfyller det syfte blockaden sägs tjäna: säkerhet för staten Israel och dess medborgare. Tvärtom inser allt fler att blockadpolitiken är det största hindret för utvecklingen mot en rättvis och varaktig fred. Ingen säkerhet skapas genom att förneka människor och folk deras mänskliga och medborgerliga rättigheter. Så skapas bara bitterhet, konflikt och våld. Därför genomför Ship to Gaza denna sommar 2012 ett nytt försök att häva den fördärvliga och meningslösa blockaden. Vi gör det genom att segla hela vägen från Umeå till Gaza, en sträcka på 5000 sjömil. I hamnar på vägen kommer det, precis som i Umeå, anordnas debatter, konserter och kanske en och annan välkomstpicknick. Men resan är ingen utflykt för vårt höga nöjes skull. Det är inte riskfritt att utmana en av världens starkaste militärmakter. Förra sommaren saboterades två av Frihetsflottans båtar när de låg i grekisk och turkisk hamn. Vi vill genom vår aktion skicka en tydlig signal till det internationella samfund som säger sig värna mänskliga rättigheter och folkrätt men blir som förlamat när det i handling ska inskrida mot Israels flagranta överträdelser mot dessa principer. Vi vill också skicka ett hoppets budskap till Gazas instängda befolkning: Ni står inte ensamma. Omvärlden har inte glömt er. Tillsammans med alla goda krafter i Palestina, Israel och resten av världen ska blockaden hävas en gång för alla. (Buss 123 från Vasaplan kl. 13.10, stig av vid hållplats “Obbola centralhållplats” och följ markeringarna). 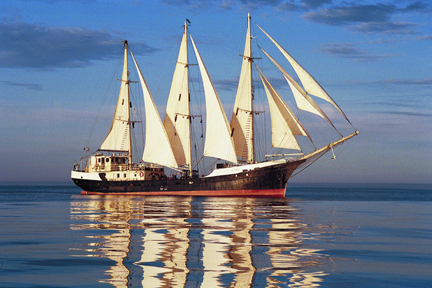 At a press conference the 4th of April 11.00 in Läntinen Rantakatu 67, Turku, Finland, Ship to Gaza Sweden’s spokesperson Dror Feiler, will announce the purchase of the Finnish sailing ship Estelle. The ship has been in the possession and care of Eestaas Ltd since 1985, and been used for fair trade and sea travels between Northern Europe and Africa. These are traditions that will be maintained and cherished by Ship to Gaza, a non-violent initiative and act of solidarity with one purpose: To end the inhumane and illegal siege on Gaza and its 1.6 million Palestinian inhabitants. Estelle will be an important tool in our coming effort to end the siege. In 2010, a large, Israeli naval force, killing nine passengers and injuring some 50 people, attacked a peaceful flotilla. In 2011, a Greek government under hard pressure resigned to the Israeli blockade and detained a second Freedom Flotilla of boats in Greek ports. This was forceful and in viola tion of international law as well as EU laws. No government was heard to protest against this full-fledged breach with the EU principle of Freedom of movement, for people and for goods. Freedom of movement is something the people of Gaza can only dream of. The near five year long blockade is devastating in its efficiency in keeping people and goods from moving in and out of Gaza. Enclosed in this small enclave, the people are regularly the object for attacks from Israeli military. 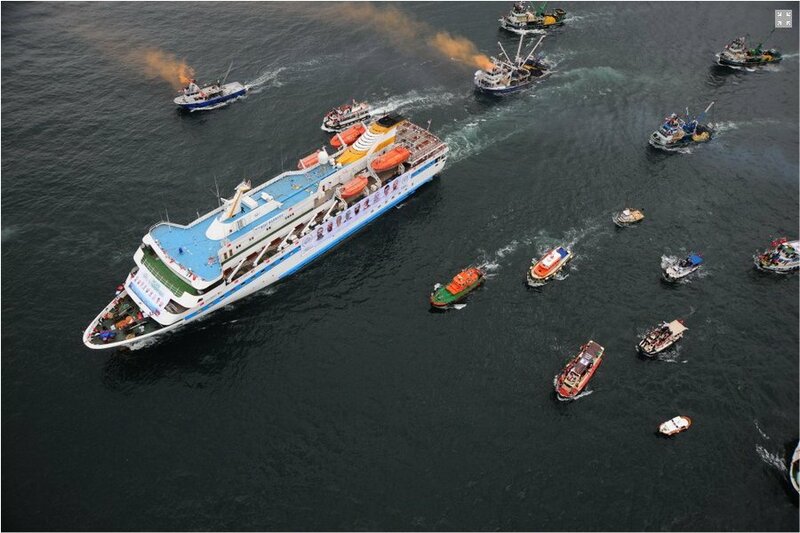 In the aftermaths of the Flotilla in 2010, an Israeli government under pressure declared some relaxation in the blockade. This has proven to be a trick, an illusion. Illegal, collective punishment keeps on hitting people every day, week and month. Imports are, with generous calculations, approaching 40 % of the pre-blockade levels. Exports are all but eradicated and large shares of the population are dependent on international aid. The crisis is acute when it comes to power, fuel, water resources and sanitation. Maybe worst of all, is the isolation from family, friends, universities and other parts of society in the occupied territories. Since the introduction of the blockade, 350 000 children has been born in Gaza. They know no other reality than the world’s largest open-air prison. In March 2012 The UN Committee on the Elimination of Racial Discrimination expressed concern regarding “the dramatic and disproportionate impact of the Israeli Defence Forces’ blockade and military operations on Palestinians’ right to housing and basic services in the Gaza Strip”. The international community have many times condemned the blockade, and deemed it illegal. But this is not turned in to action, and mere lip service is paid to common principles and values: Human Rights. This passiveness forms a backdrop to our engagement for Ship to Gaza. We pose a simple question to ourselves and to others: Are Palestinians human beings? If the answer is yes, then the Palestinians have to be acknowledged with the same inalienable rights as others. If the answer is no? Then one has out-defined one self, rather than those one seeks to de-humanise. The siege is not only inhumane and illegal. It is also counter-productive. When will the Arab spring, be allowed to cross the border into Gaza? Ship to Gaza will in 2012, in a joint-effort with partners realise a whole new project, all over Europe. We will this time sail from the Nordic waters to Gaza, via harbours in the Baltic, the Atlantic and the Mediterranean. In every harbour we will organise events: In music, discussions and our voyage we will spread the word about the situation for Gaza and its people. We will bring much wanted cargo. Many will have the opportunity to participate in this peaceful journey for solidarity, on one of the many laps we will make on the way from the North to Gaza. 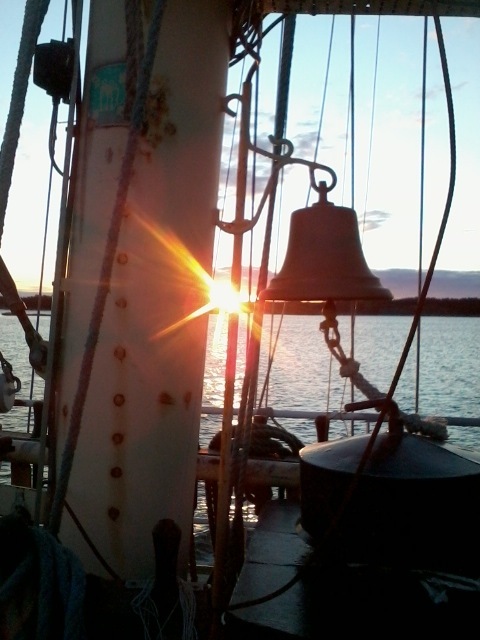 S/V Estelle will be our ship and we will perpetuate her proud tradition to sail for fair trade and human rights. Sadly the Palmer/Uribe Report on the 31 May 2010 Flotilla Incident, leaked to the New York Times on 1 September, is an expected whitewash of Israeli crimes. While it blames Israeli forces for using excessive force when they raided our Gaza-bound civilian ships, it erroneously justifies Israel’s blockade of Gaza, casts doubts on the intentions of the flotilla organizers, and does not seek accountability for perpetrators of human rights abuses. In addition to the problems in the composition of the Panel, its goal was not to arrive at the truth of what happened or to seek justice for victims, but rather to reach political compromise in order to repair relations between Israel and Turkey. The mandate of the Panel was limited to reviewing the reports of the national investigations by Turkey and Israel, and it did not interview witnesses or otherwise conduct an in-depth objective investigation. This is a political attempt to overshadow the only independent and impartial investigation and report on the flotilla raid, which was commissioned by the UN Human Rights Council (A/HRC/15/21) and conducted by three internationally renowned human rights experts. The findings and recommendations of this report, released on 23 September 2010 have yet to be acted on by the United Nations. Using civilians as a means of pressuring a government violates international humanitarian law, which prohibits intentionally harming civilians, and constitutes collective punishment, forbidden under the Fourth Geneva Convention. The Palmer/Uribe Report mistakenly identifies IHH as the “leading group involved in the planning of the flotilla,” accuses us (the Freedom Flotilla organizers) of acting recklessly, and casts doubt on the humanitarian nature of our action (pages 46-48). Six non-governmental, international civil society organizations, all having equal say and responsibility, planned Freedom Flotilla I. Our action was a legitimate form of nonviolent direct action. We reject the Panel’s finding that Israeli soldiers faced “organized violence.” What the heavily armed commandos faced while they tried to forcefully take over the Mavi Marmara on the high seas was legitimate acts of non-armed self-defense by a handful of passengers, acting against unwarranted aggression. Although our ships carried 10,000 tons of much needed cargo for the people of Gaza, we have repeatedly stated that our goal is to break the illegal blockade of Gaza, not simply to deliver aid. The humanitarian crisis that exists in Gaza is a result of a deliberate, illegal and immoral policy. To challenge that policy in order to bring an end to the cause of people’s suffering is humanitarian. While the Report correctly faults Israel for using excessive force on unarmed civilians, it does not call for accountability. The Report notes that Israel has not accounted for the forensic evidence showing that most of the nine volunteers killed were shot multiple times, including in the back, or at close range, or for the consistent accounts of abuse suffered by other volunteers at the hands of Israeli forces. The Report’s recommendation that Israel simply express regret over the incident is insulting to the victims and their families, and seriously undermines international human rights and humanitarian law. Finally the report fails to address the issue of the remaining four ships of Freedom Flotilla I still held by Israel as well as its refusal to return to the passengers over $1 million in money and equipment including cameras and videos which are of evidential value. 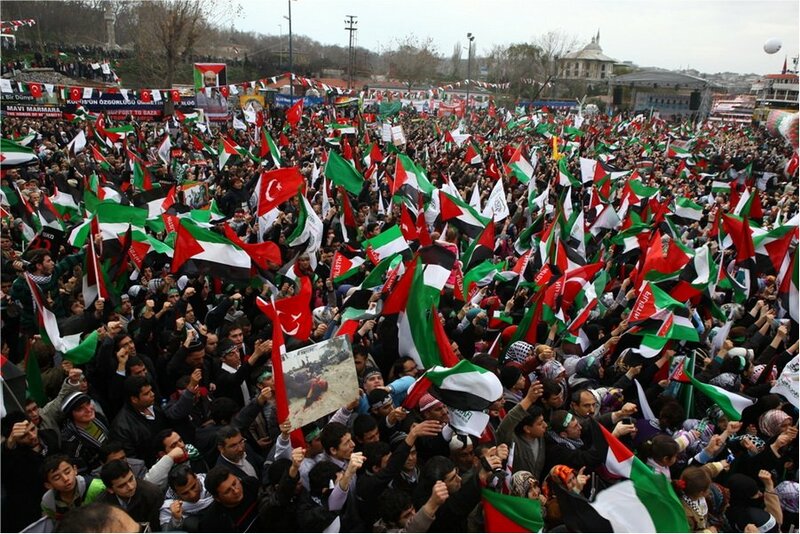 We welcome Turkey’s decision to downgrade relations with Israel, expelling the Israeli ambassador, and cancelling military ties, as well as its statement that it will take legal action against those Israelis responsible for the attack on the flotilla. Such sanctions are needed in order to put an end to the impunity with which Israel has been violating Palestinian human rights and disregarding international law. Al Jazeera Centre for Studies in conjunction with the Middle East Monitor (MEMO) and the European Muslim Research Centre (EMRC) at Exeter University carried out a joint study in January 2011 to gauge British and European perceptions on the ongoing Israel-Palestine conflict. No major study of this kind has been undertaken on a European level since October 2003, when a survey conducted by the European Commission revealed that approximately 60% of Europeans saw Israel as the greatest threat to world peace. This report presents the findings of a research study conducted by the polling institution ICM Government & Social Research Unit on behalf of Al Jazeera, MEMO and the EMRC. ICM interviewed 7,045 adults across six major European countries: Britain, France, Spain, the Netherlands, Germany and Italy. * 54% believe that Jerusalem should be a neutral international city. The city of Madrid (Spain) hosted on 4th, 5th and 6th February 2011 the meeting of delegates from different organizations that comprise the International Coalition of the Freedom Flotilla II. The meeting, organized by the host delegation Rumbo a Gaza, was attended by delegates from Algeria, Canada, Scotland, Spain, France, Greece, Holland, Ireland, Italy, Jordan, Kuwait, Malaysia, Norway, Sweden, Switzerland and Turkey. Also, in the course of the meeting, updates were received about the work of organizations in Germany, Australia, Belgium and Denmark. The organizations gathered in Madrid reiterated our strongest condemnation and rejection of systematic aggression that the State of Israel has inflicted on the Palestinian people for over 60 years and its continued violations of international law. We also denounce the passivity, if not outright complicity of our governments to actions that constitute a crime against humanity. The Gaza Strip has become a symbol of the systematic and planned aggression against the entire Palestinian people. For almost five years, over a million and half people have been subjected to a criminal and illegal blockade, a medieval siege in which the State of Israel has become the master of life and death for Gazans. This collective punishment combined with devastating military attacks launched by Israel’s army on the defenseless population of the Gaza Strip: 500 killed in Operation Summer Rains 2006, more than 1,400 killed in Operation Cast Lead December 2008 and January 2009, more than 80 killed in 2010 during various other assaults. Gaza is a territory intentionally reduced to misery. 80% of its inhabitants depend on humanitarian aid for food, 70% of households live on less than one euro per day for each of its members, over 40% of the population is unemployed. The State of Israel has kidnapped people physically as well as kidnapping their rights, their dreams and hopes as they have been doing for more than 60 years. Because of the silence and inaction of our governments to these crimes against humanity, the international civil society campaign has grown since 2008 when the siege was broken for the first time by two small boats and last year the first Freedom Flotilla was launched. A well known fact, the Israeli army attacked this Flotilla in international waters, in what constituted a flagrant violation of international shipping laws, murdering nine activists, injuring 50 others, kidnapping everyone on board, and hijacking the boats. More determined than ever to break and end the blockade, the Coalition announced today that during the second half of May 2011 Freedom Flotilla II will sail. To this end there will be at least twice as many boats carrying many more volunteers and more aid. The expedition will sail in order to force Israel to respect international law and to mobilize civil societies’ support and solidarity with the Palestinian population of Gaza as well as bring attention to the wider issue of the host of human rights abuses carried out by the Israeli state against the entire population of Palestine. We are closely following the big change that is being brought in Tunisia, Egypt and the wider Arab world by the emergence of civil societies’ demand for true democracy, social justice, freedom and respect of human rights. The long Palestinian struggle against occupation and violence deserves the support of the international community. Freedom Flotilla II integrate its action into that large movement focusing on breaking and ending the siege in Gaza. Palestinian people and historically, Mediterranean Sea people, have the same rights on their territory, territorial waters and air space. 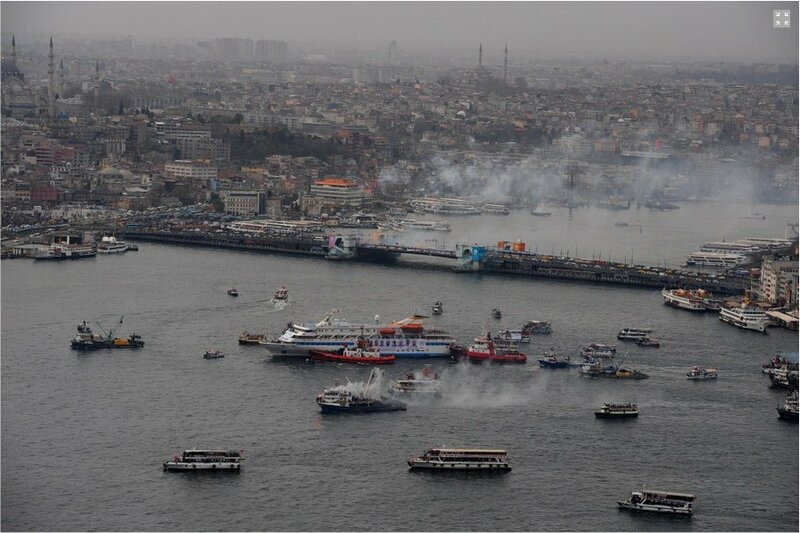 Therefore our expedition, Freedom Flotilla II, has become more important and necessary than ever. We will sail to Gaza until Palestine is free! 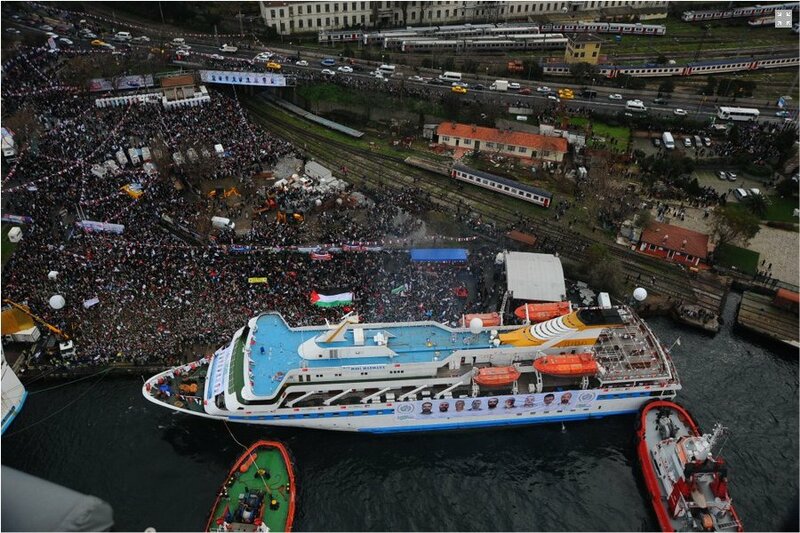 The Mavi Marmara “finally returned home after 219 days since the incident on may 31. 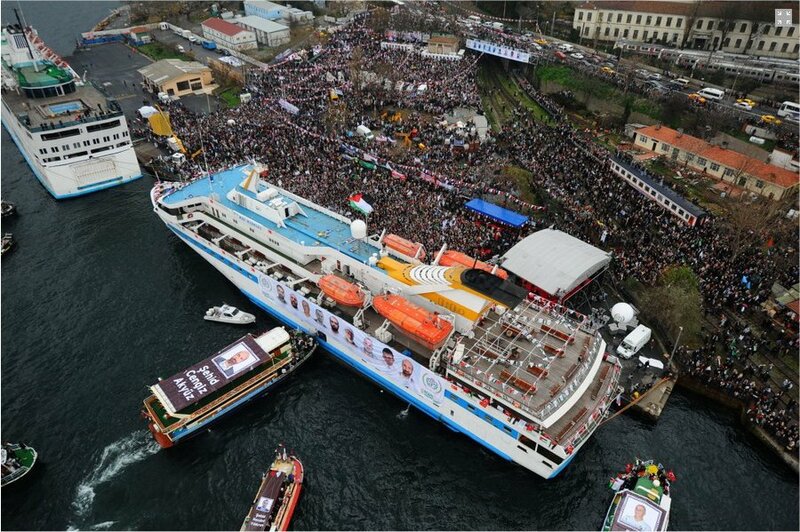 Tens of thousands of people attended a welcome ceremony for the ship,” according to a press release from the Turkish IHH [Insani Yardim Vakfi – Foundation for Human Rights and Freedoms and Humanitarian Relief – Dec 26, 2010]. The Mavi Marmara was accompanied by 80 small boats and people were waving flags of Palestine and Turkey to welcome the ship. Turkish citizens as well as hundreds of activists from 50 different countries participated in the event. Photo’s of the 9 “activists” who died during the Israeli raid were displayed at the ship. People were shouting slogans condemning Israel and showing banners protesting against the blockade of Gaza. Dror Feiler’s father met with PLO representatives in Rumania in 1978 while this was still illegal at the time. Dror Elimelech was also one of the first “refuseniks” to serve in the disputed territories. He is chairman of the Swedish organization Jews for Israeli-Palestinian Peace (JIPF) and the European organization European Jews for a Just Peace (EJJP). He was aboard the Swedish Greek boat “Sofia” involved in the Gaza flotilla clash. – Ikväll tänder vi ett ljus för Gaza därför att Gaza är vår planets största fängelse. 1,5 miljon människor bor på en yta stor som en fjärdedels Öland. Instängda, utan möjlighet att ta sig därifrån. – Brottet är att några bland Gazas befolkning, på grund av den obalans i makt och tillgång till livsresurser som råder mellan grannarna, i frustration skickar iväg några raketer över gränsen. Brottet är att befolkningen i fria demokratiska val har valt fel regering. På det brottet utdelas straffet. En kollektiv bestraffning i fängelse. Hammar betonade vikten av noggrant språkval. Det är inte judarna i allmänhet som bär ansvaret för ockupations- och blockadpolitiken, utan Israels politiska ledning. Och: ”vi måste kunna kritisera staten Israels politik utan att bli kallad antisemit”. – Och ikväll minns vi särskilt ett stort ljus i mörkret. Ship to Gaza. För ett drygt halvår sedan avseglade en flotta som byggde på just de ljusfundament som vi alla kan erfara: gränsöverskridande solidaritet, folkrätt och mänskliga rättigheter som grund, och ickevåld som väg och medel. Inte minst det sista visade sig vara det som motparten fruktade allra mest. Mycket energi lades ned på att visa att det användes lite våld, lite motstånd för att legitimera den egna våldsanvändningen. Alltså, den som har all våldskraft är mest rädd för att någon står upp med ickevåld för då försvinner legitimiteten. Det är hoppfullt att vi lever i en tid då vi får uppleva detta.